This is a perfect way to introduce young children to flags of the world. 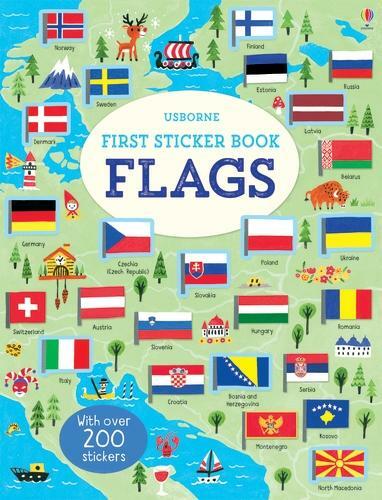 Children will be fascinated by all the colourful flag stickers and enjoy spotting where to to put them on the maps. Additional illustrations of national foods, landmarks and animals help bring the pages to life. Illustrations:Full colour throughout WARNING! Not suitable for children under 36 months because of small parts. Choking Hazard.